If you have ever wanted to try a new recipe, then you know how difficult it can be to find all of the ingredients, especially if the original recipe is from another country. If you have ever wanted to try your hand at a curry dish, a noodle dish or special international soup, then you have found out that some key ingredients are not in your local grocery store. Or if they are, the price scares you away from the recipe that you started. 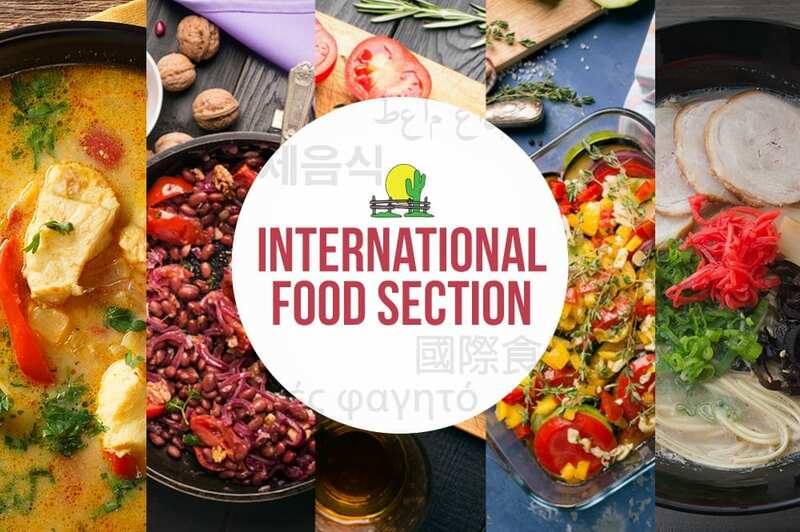 The Redlands Ranch Market International Food Section has a wide array and selection of international foods that cannot be found anywhere else in the Inland Empire. What originally started out as specializing in South American cuisine, Redlands Ranch Market has expanded their reach. They now offer ingredients for your favorite Indian, Asian, and Middle Eastern dishes. If you are looking for garam masala or rice noodles, chili garlic hot sauce or fish sauce; you can find all of these and more at Redlands Ranch Market. One key aspect of many international dishes are the various vegetables. Redlands Ranch Market offers a wide variety of fruits and vegetables that will fill your global needs. You can try different types of starchy root vegetables, tomatillos, fresh papaya and so much more. Not only do they offer a rich selection of fruits, vegetables, sauces, and ingredients needed for international fare, they have it at a fraction of the price from other grocery stores. Often, if you need these items, you expect to pay a premium for subpar products, but not at Redlands Ranch Market. Their slogan is “Autenticamente fresco con amabilidad” which in Spanish means authentically fresh and friendly. They offer fresh and delicious products from the Inland Empire and around the world. Please make sure to check them out today!